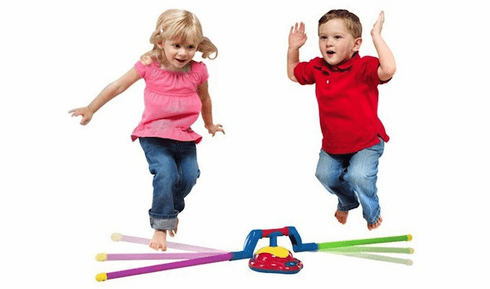 With the Super Skipper, kids can jump to the music as the pole revolves around the electronic base, but don't let the pole hit you or you're out! The Super Skipper has 3 exciting songs, 3 different speed modes and an acceleration mode that speeds up as it spins for the more advanced skippers. The telescoping poles fold up small for easy storage. Super Skipper requires 4 C batteries not included.